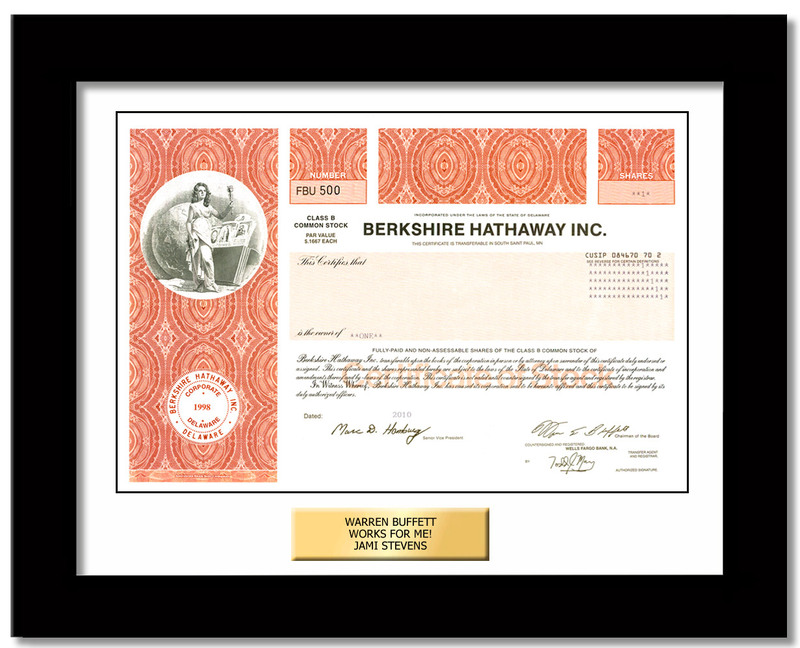 We offer true one share ownership of over 100 world famous companies like Berkshire Hathaway. If you have clients looking to give stock as a gift and they want the authentic paper stock certificate, we'd appreciate the referral. We have a limited number of authentic Merrill Lynch stock certificates available for collectors and also sell replicas that can be personalized. 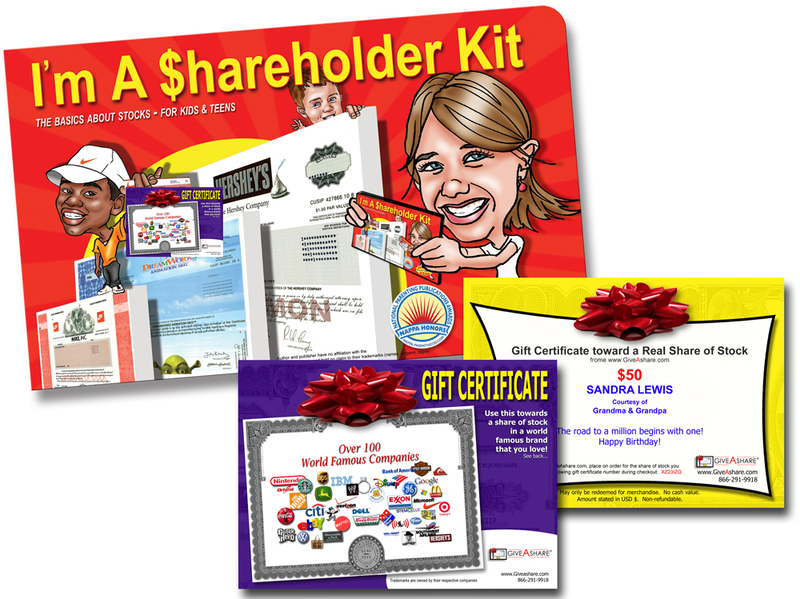 The recipient becomes a true shareholder, gets the authentic stock certificate with Warren Buffett's printed signature, and even gets passes to the shareholder meeting extravaganza to see the Oracle of Omaha. Just 1 left. 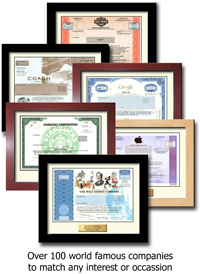 This authentic certificates registered in our company name - Leading Edge Gifts LLC. It is the real deal - not a replica! 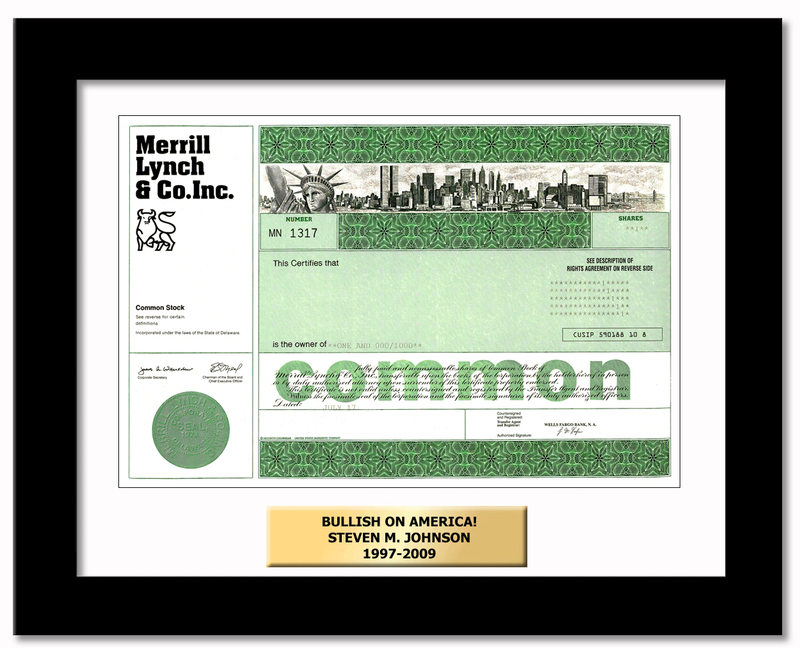 This realistic-looking, one share stock certificate with the twin towers is custom framed (choice of colors) and includes a personalized engraved plaque. 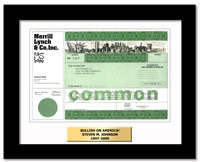 The wall frame measures 16" W x 13"L and holds the full-sized stock certificate replica. 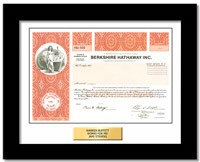 In addition to the personalized engraved plaque, you can choose to have the replica stock certificate personalized with your name as the shareholder. Your clients with kids and grandkids will truly appreciate this. Did you know that high school seniors scored a dismal 48% on JumpStart's financial literacy survey? This innovative KIT grabs kids/teenagers attention and teaches them about stocks by letting them experience ownership. ADD a Gift Certificate toward their 1st share of stock and you will have a client for life! From Bank of America to Disney, we have a stock to match any interest.